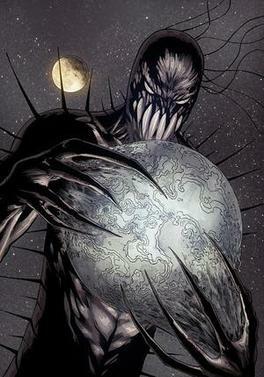 Agents of SHIELD has introduced a planet that serves as a prison for a god like Inhuman who is considered to be the founder of Hydra. The planet's name is Maveth. Hydra has been sending sacrificed people to the planet to feed the founder for centuries. They have been unable to bring anyone back from the planet. Fitz found a way to open a portal and retrieve Simmons from the planet. There does not appear a planet or place in Marvel comics explicitly named Maveth. Maveth means Death in Hebrew. state of death, place of death. Another aspect of the planet is that it once held a vibrant civilization. This civilization turned each other and destroyed each other. The founder of Hydra entity said that they were not able to change, they were not able to adapt fast enough. 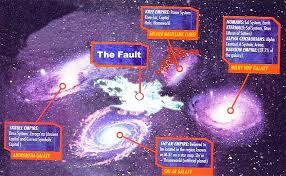 This means that likely what ever the civilization was it was destroyed through the entity's influence. There are a few civilizations that were destroyed in the Marvel universe but it would be hard to know which one it is without seeing a skeleton of people that lived here it is hard to know exactly which civilization it was. Random Kree - Could have been a fringe Kree world. This would help explain the Obelisk's presence which seemed to be of Kree origin. Random Inhuman/Human - Perhaps the city was where the initial experimentation of the Inhumans by the Kree occurred. It could have held many humans and Inhumans. Alantean - Another ancient people mentioned in Marvel are the Altanteans perhaps in the MCU they were travelers from another world. This would fit with the apparent ancientness of Hydra's Inhuman founder. Kymellia I- Ancient horse looking aliens destroyed their first planet. I believe this is actually the planet depicted in the beginning of Guardians of the Galaxy. Korbin - Original home of the Korbinites who fled when their world was destroyed by Surtur. This planet was in what was called the Burning Galaxy and was very hot. The Korbinites then fled and created their champion Beta Ray Bill. Maveth does not look burning but it was destroyed by an evil entity. Zen La - These are the people who give rise to the hero the Silver Surfer. They are human looking. However, I do not believe this dark planet was in the Milky Way galaxy like Zen La. Also I do not believe Marvel has the rights to Silver Surfer or his people. Skrull, Shi'ar and Badoon planets are possibilities but the rights for these aliens are controlled by Fox. The planet could be a distant planet in a far off corner of the universe, however other options exist. It could be the underworld of one of myths that inhabit the Marvel universe, or a different dimension. “Maveth” – S.H.I.E.L.D. and Hydra go head-to-head in a battle that will change Coulson's world forever. While Daisy and her team of Inhumans fight to keep Hydra at bay, Coulson and Fitz take the ultimate risk, in the epic winter finale of “Marvel’s Agents of S.H.I.E.L.D.,” TUESDAY, DECEMBER 8 (9:00-10:00 p.m., ET) on the ABC Television Network. Guest starring are Blair Underwood as Andrew Garner, Constance Zimmer as Rosalind Price, Juan Pablo Raba as Joey Gutierrez, Powers Booth as Gideon Malick, Mark Dacascos as Giyera, Garrett Hines as Hydra soldier and Brandon Ford Green as third soldier. Star Wars: The Force Awakens Gifs! Who is the Inhuman founder of Hydra?